Mix up this easy dry rub for your next backyard barbecue or bottle it up to give as a gift to the grillers in your life at Christmas, Father's Day or birthdays. Made with brown sugar and a magic mix of spices, this sweet and spicy dry rub recipe turns up the flavor on your favorite cuts of meat. Use our free printable labels to add the perfect finishing touch. Add all ingredients together in bowl and stir well. Using a clean funnel, pour the dry rub mixture into an 8 oz. glass jar with screw-top lid and screw the lid on tightly. 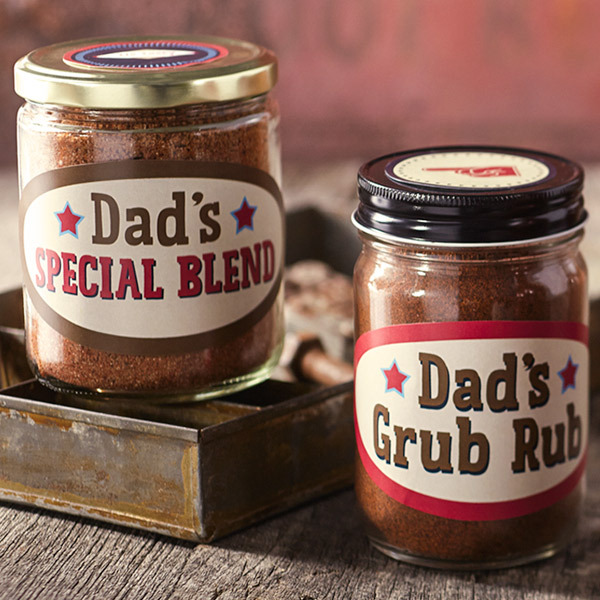 Optional: Print our dry rub jar and lid labels, cut out your favorites and attach to jar with double-stick tape. Tip: Dry rub mix can be stored in an airtight container for up to 6 months.